I used an unmodded xbox, installed (using hdd swap) Linux first and got the hdd-password. Also installed one of these "standard" xbox hack dashboards (after restoring the original xbox-hdd content, again using hdd swap) and created the "backup", which gave me the exact same hdd-password. Connected the xbox-hdd again to a pc. "UnlockX" told me the xbox-hdd was lockable/locked (no surprise). Unlocking with the obtained password worked. Then locked it again. It still works in the xbox as intended, so everything is ok. I duplicted the content of the original xbox-hdd image to the SP0802N hdd and run UnlockX. It told me this drive was not lockable. Using atapwd I set a master-password (just in case something went wrong to be able to get rid of the user-password and the content of the samsung-hdd, highly recommended!). Back to UnlockX, which again told me the samsung-hdd was not lockable. Anyway, I set the obtained password (using UnlockX). Atapwd recognized the user-password was set. After a reboot the drive was locked (as expected.) I could unlock it again with UnlockX (which told me the drive was unlockable). 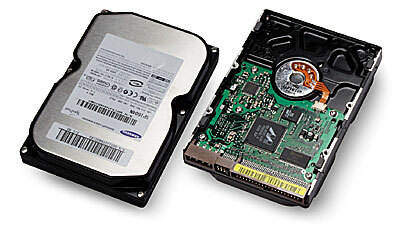 Then I locked it again and replaced the xbox-hdd with this locked samsung-hdd. Unfortunatley the xbox seemed to agree with UnlockX and did not accept this harddisk. (Showed the error very early after switching on the xbox, which - as far as I remember - indeed means hdd could not be unlocked.) I tried this procedure a few times more, locking the samsung drive with hddlock, too, but never had any success making the samsung-hdd work in the xbox. After reading about config-magic, I'm tempted to try this, too (have to get it first). However since UnlockX seemes to be right about the "hdd is not lockable", I asume it's right. So it's interesting to see, that a hdd can be locked but it still lacks a feature that tells that it really does support locking (which prevents it's use in the xbox). I'ld love to read what you think about this. I have also a Samsung 80GB SP0802N I have tried to run the soft unlockx 2.0 and.. no success: the software tell me that is not lockable.... any solution ? maybe we can change the firmware of the HD.. what do you think ? Yes this is true, have the same drive, I have the full manual for this drive if you need it. I'm trying to learn a little more about this drive because I have locked it and I must have made a typo in the pwd because I can't unlock successfully yet. I'm trying to figure out what pin(s) to short to reset the drive to the mfg defaults. Not everyone has the money to pay 'extra' just to unlock thier drive. I wouldnt both with that when thier is programs for the xp that does it for you.